How much does a network outage cost your business? According to Gartner, the average cost for downtime is $5,600 per minute for a large enterprise. Earlier detection and proactive alerts, enables ISEC7 to drastically reduce the cost of downtime and even prevent outages. 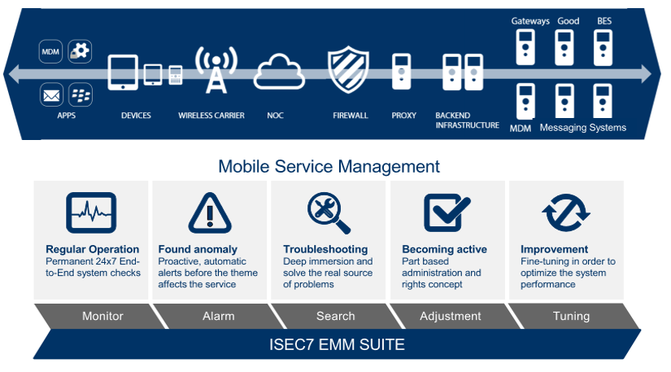 The ISEC7 EMM Suite is a holistic Mobile Service Management solution to cover all aspects of daily IT operations within your mobile infrastructure.